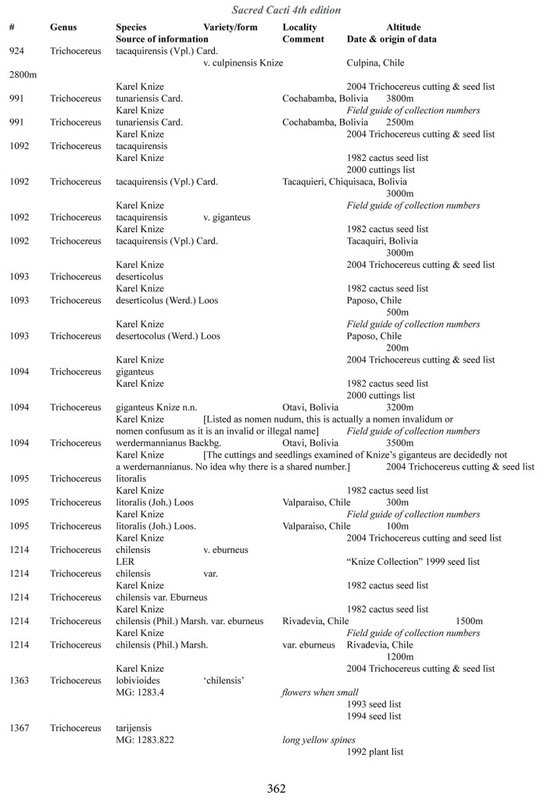 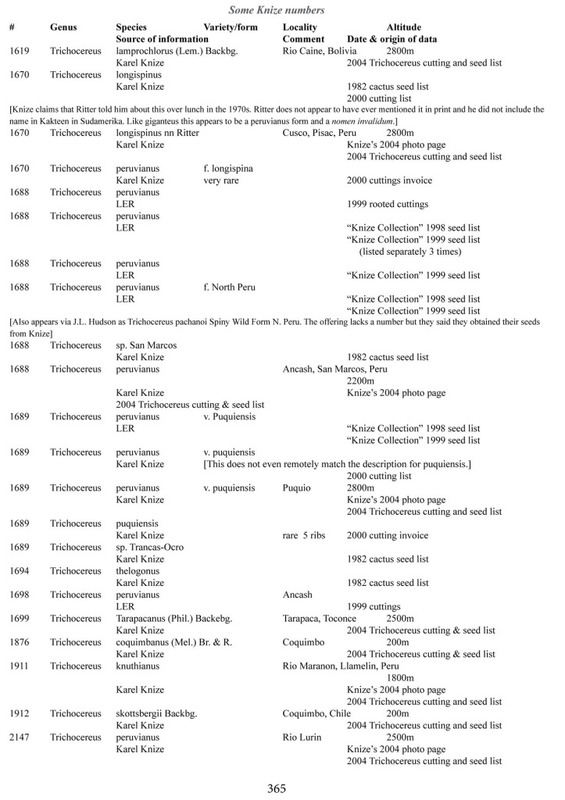 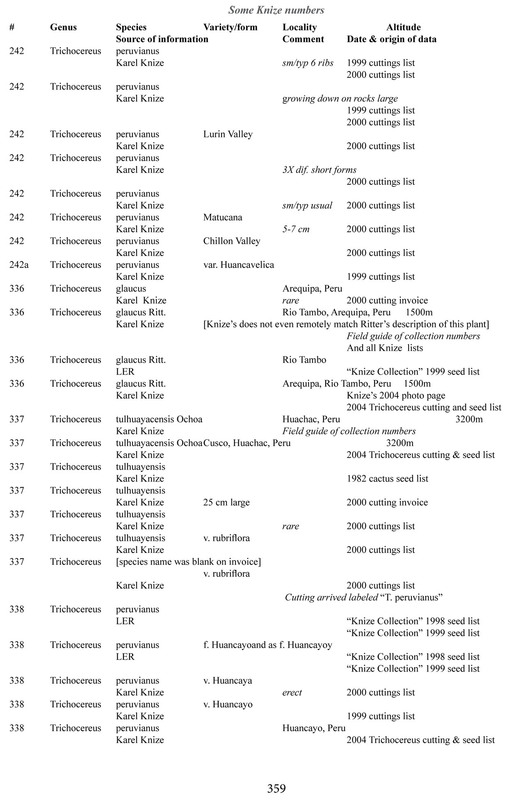 I’ve omitted some of the known problems in horticulture from this table; including commercial seedlots of KK242 being misidentified and producing what is clearly Trichocereus bridgesii and also Trichocereus cuzcoensis. 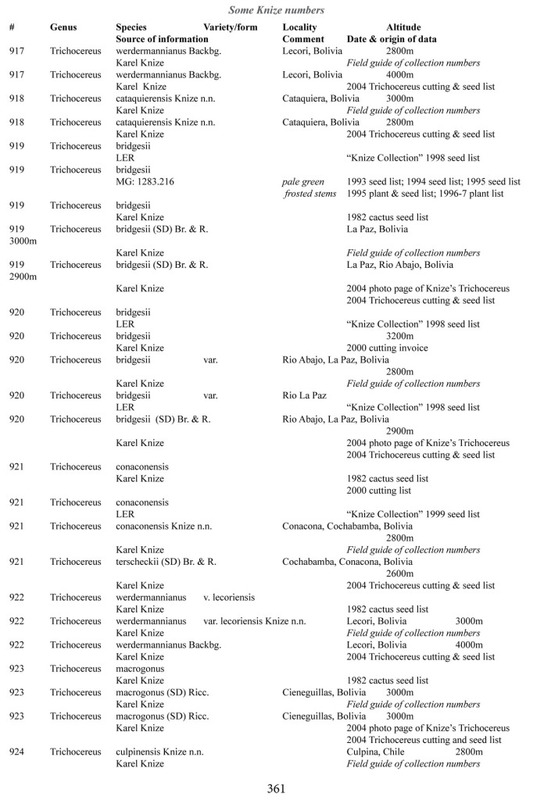 Due to how MANY individuals now exist, KK242 can actually now be found equated with T. cuzcoensis but this is not any more accurate than Knize’s plant identifications (a lot of the time they are accurate). 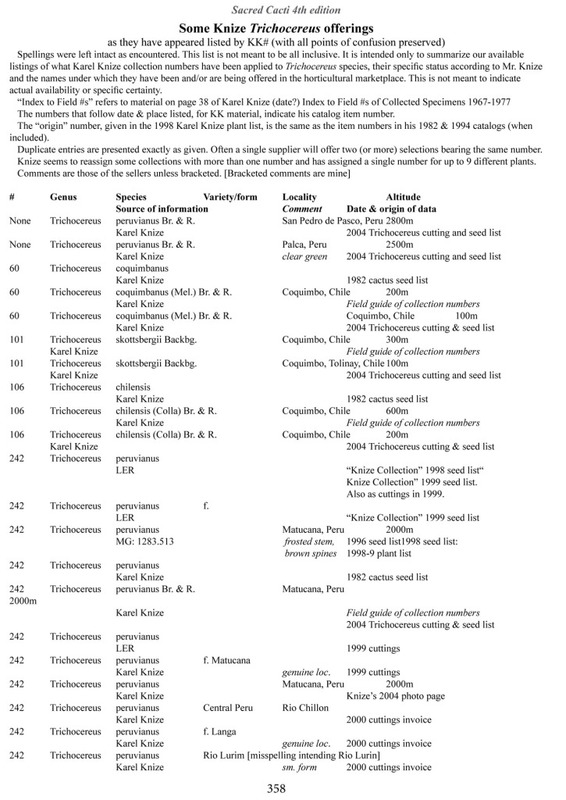 There is little doubt that Knize has in fact sold many thousands of Trichocereus cuzcoensis seeds through the world’s major cactus seed houses that were mislabeled as Trichocereus peruvianus KK242 (Knize has been a major supplier for their seeds beginning in the late 1960s) but KK242 can also be other quite different plants. 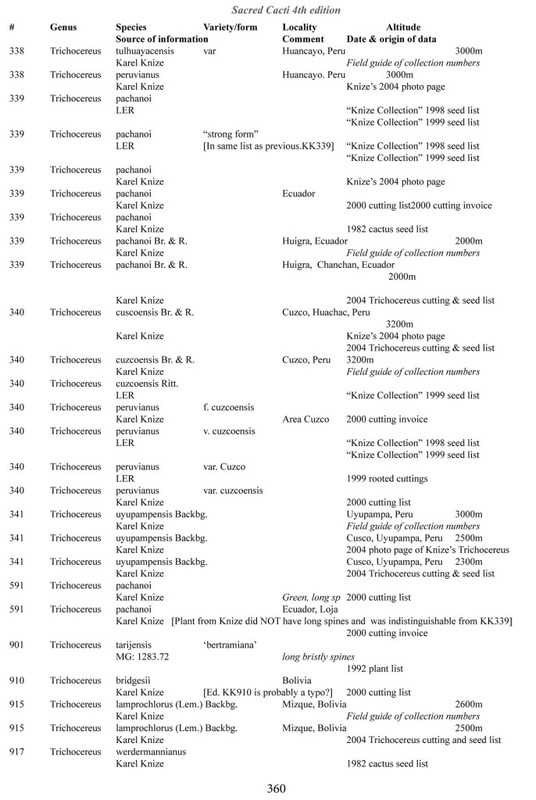 According to personal communication with Karel Knize, KK242 is a locality number rather than a collection number. 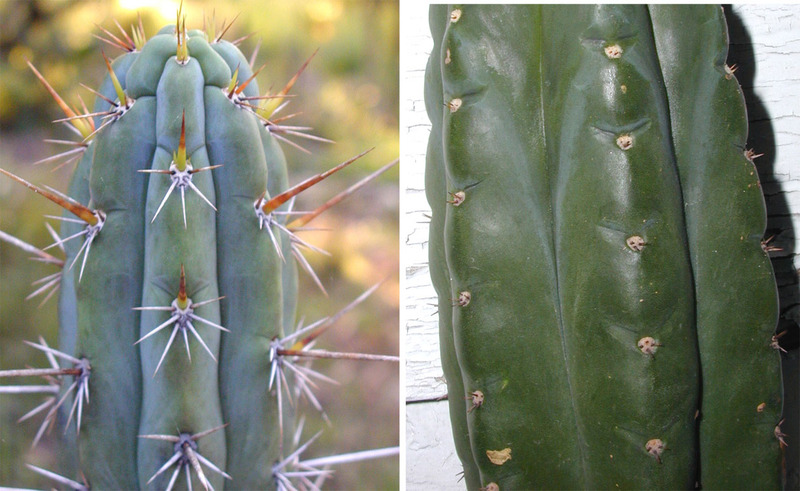 Knize commented that, in his view, it represents up to 9 different populations “above Matucana”, 6 of which are short spined and all of which fall within the spectrum of pachanoi-peruvianus. 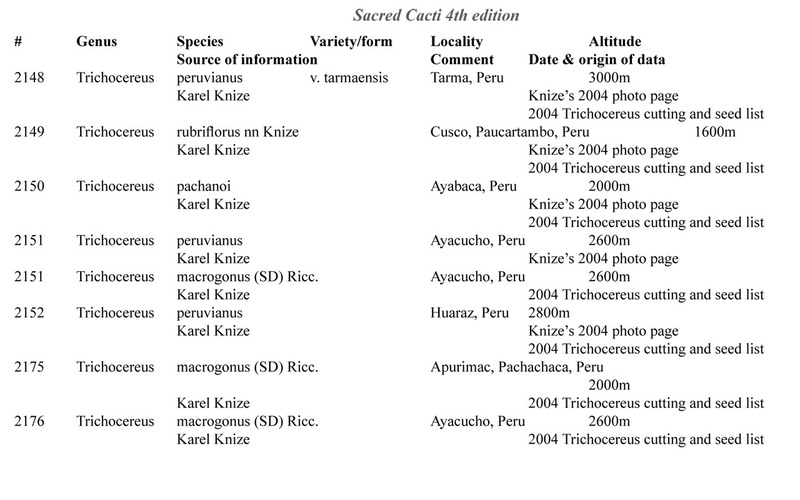 Any accurate definition of what KK242 represents needs to incorporate all of those AND the KK242 seed-grown T. cuzcoensis AND the KK242 seed-grown T. bridgesii. Every example in the cactus images above was sold as a KK242 by Karel Knize. 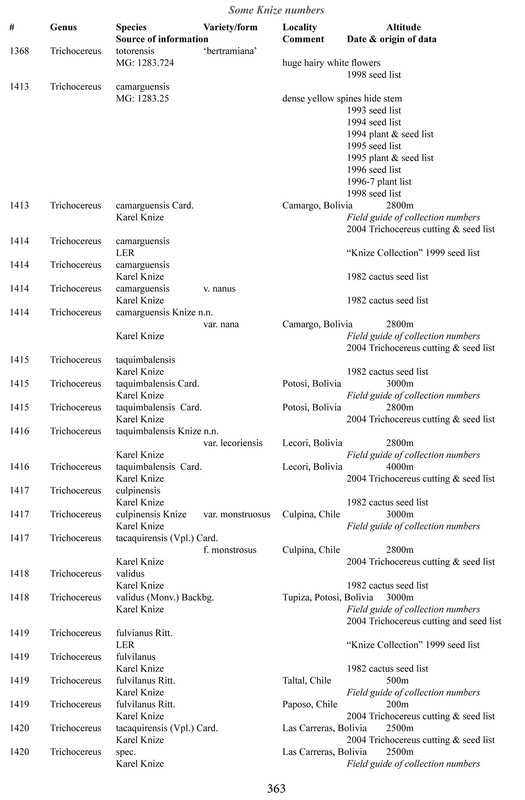 While Knize certainly has introduced a bewildering wealth of confusing names and plants it was in the process of bringing an incredible number of cacti and succulents into the hands of horticulturalists world-wide. 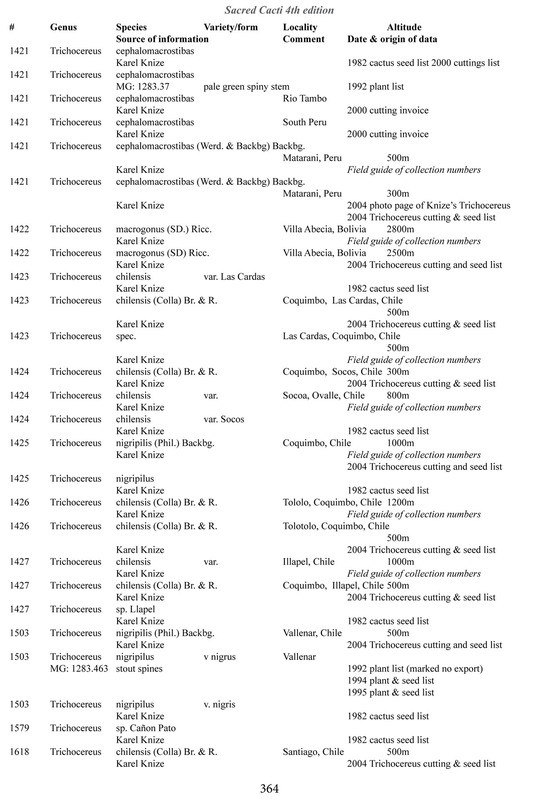 As is also true for northern hemisphere seeds collected by Horst Kunzler I suspect relatively few people realize how many of the plants they grow actually came from Knize seeds that were distributed through the major cactus houses.